When we delete something from our system, file system marks that place of disk. This mark indicates that this specific portion of disk had some data in past, but now its deleted, so new data can be saved here. In case the new data is written, than its not possible to recover the old data. But if you are lucky that portion of disk is not over written, than you can recover your data using data recovery software. There are many data recovery software available in market having different capabilities. 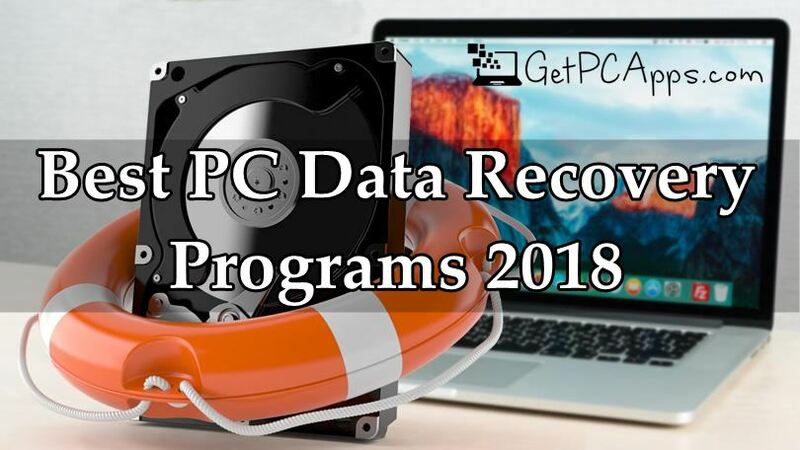 In this article we will focus on top 5 best data recovery software for Windows 7, 8 and 10 in 2018. It is the best software for data protection. It helps you to recover the data which is lost from personal computer, laptop or server because of any virus attack, OS crash or raw partition. You can restore any extremely corrupt data which might be the result of system damage or RAW hard drive. Accidentally deleted files can come back very easily. You can also restore data from accidentally deleted partitions. User interface is easy, hassle free, intuitive, safe and powerful. There is an option of bootable media which is designed to solve system bootable problems. Preview feature is enabled for audio and video files. Prices of different editions range from $70 to $300. Multiple languages are supported. 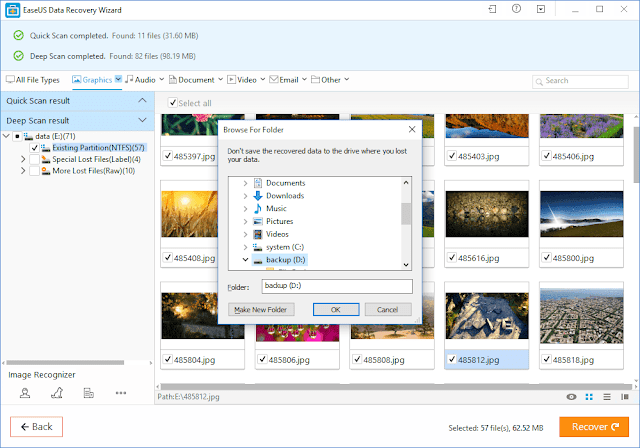 Disk Drill is an amazing software which can be downloaded for file recovery on all of your connected files and server. It is compatible for windows 7, 8, 10, XP and Vista. It is compatible for many different file systems like FAT, NTFS, EXT, HFS etc. After being installed, it starts scanning the system for any recoverable files on all media accessible either it is HD, memory card or any USB drive. It takes no more than few seconds to find the recently deleted files. 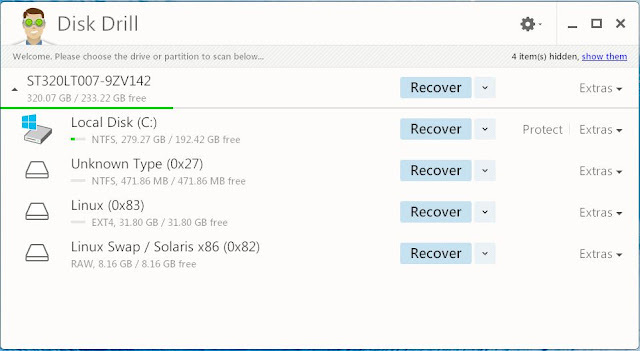 If you have lost the data a bit less recent, still deep scan can recover the files. The scans can be paused, resumed and started any moment. If you find your file very early, you do not need to wait till the end. In short, it is a very flexible and multi-purpose data recovery toolkit, with many options available like Scanning Choice, Recovery Vault, ISO/DMG backup, Partition recovery, Pause and Resume and USB drive recovery. You should install even if you have not lost any data yet. Safety Vault is there to minimize the chances of data loss. It is free data recovery program to get the deleted files back. These files can be photos, videos, documents or even emails. It is there to solve all data problems. Advanced algorithms are capable of finishing the scanning process in seconds. It also calculates the possibility of recovering the file. 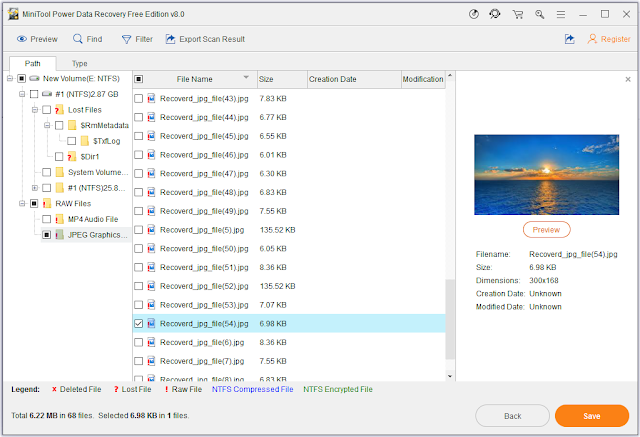 If you are willing to recover some deleted photo, you can choose the recovery file type to narrow down the search results. This software is compatible with almost all operating system and also comes with portable version. It means that you can download and install it into USB drive, plug the USB drive and run it from there. Benefit is that you do not have to install it into system. Sometimes there is a risk that software may overwrite the exact portion of hard disk from where you need to recover the data. A very quick and easy way to recover files from media. All the process is performed in few easy steps. Special filters are there which enable you to find any specific information. Special feature named ‘Files Wiper’ is used to delete any file forever, with zero chances of recovery. 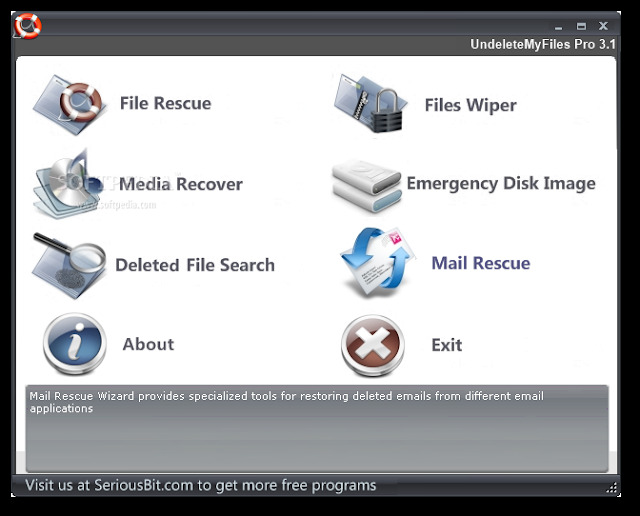 There is also special mail recovery wizard. Now comes the biggest plus, which is that this incredible software is absolutely free. This is the wonderful read-only data recovery software. It aids in recovering deleted, formatted or lost data from Hard Drive, SSD, USB, Memory Card or any other storage device. 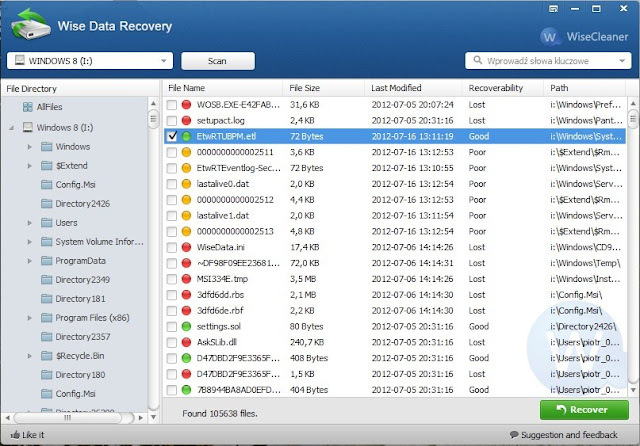 It offers four different recovery modules for all situations of data loss. One is for hard drive failures, Second remedies accidentally deleted files, Third provides solution for virus attacks and fourth one deals with accidentally formatted or deleted partitions. It is 100% safe recovery tool bundled with 30-day money back guarantee. 24/7 technical support is also provided.